Santa's office, a market hidden in a cave, and a winter park with 8,000,000 lights! 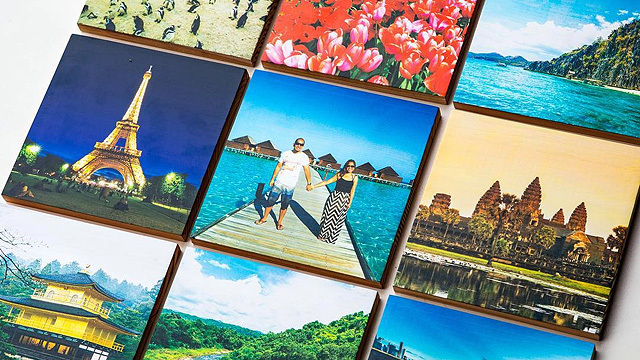 (SPOT.ph) Despite the stress and blues that the holidays can bring, there are plenty of things to look forward to on the most wonderful time of the year. Whether you’re traveling or just looking for inspiration to get into the holiday spirit, here are 10 of the world’s grandest Christmas spectacles. 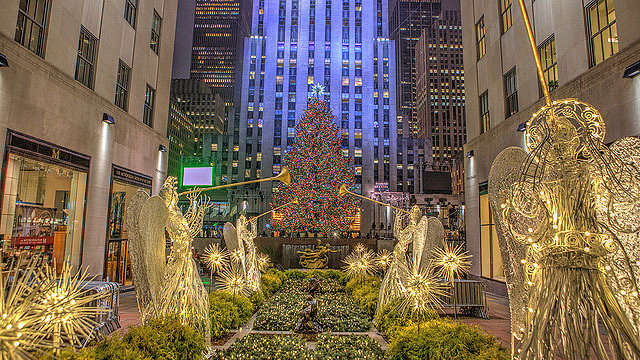 Thousands flock to Rockefeller Center yearly just to see the midtown Manhattan landmark decked out for the Christmas season. 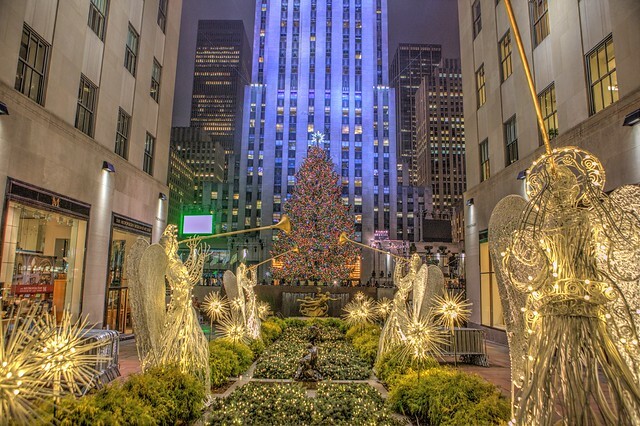 Suggested itinerary: Gaze at their IG-worthy Christmas tree, go ice-skating at the famous rink where numerous holiday movies such as Home Alone 2 and Elf were filmed, and then watch a performance of the Rockettes at Radio City Music Hall. For outdoor holiday shopping, there are neighboring Christmas markets such as Bryant Park Winter Village, Union Square Holiday Market, and Columbus Circle Holiday Market. Winter illuminations are popular across Japan. The most extravagant one is Nabana No Sato, hosted annually by the Nagashima hot spring resort, which is just outside Nagoya. It features more than 8,000,000 LED lights illuminating the entire flower park. 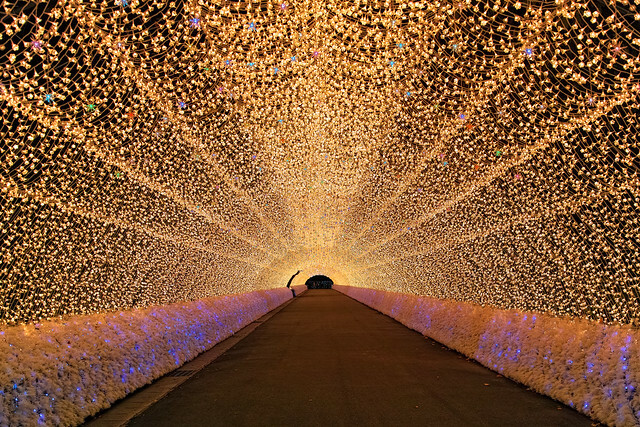 Visitors can go through several lighted attractions, such as light tunnels, an observation deck, and a huge field transformed into a sea of lights. It runs from October to May yearly. In reality, the geographic North Pole doesn’t exactly have a place for reindeer to graze, let alone house a factory of gift-making elves. 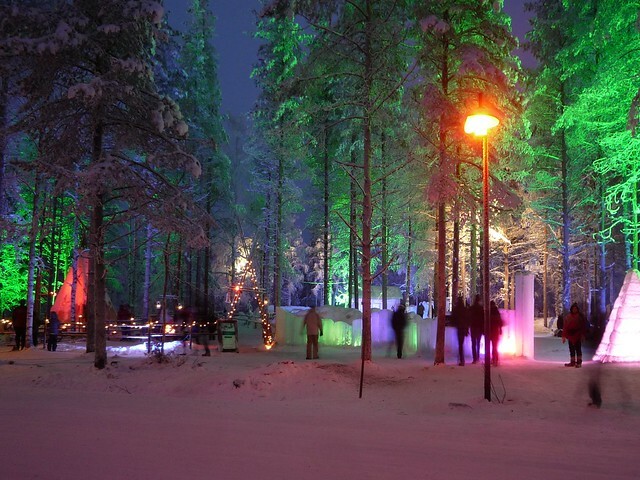 In the ’80s, Finland decided to market the Lapland region as the official home of Santa when they opened the Santa Claus Village in Rovaniemi. This amusement park, which operates daily even when it isn’t the Christmas season, provides everything straight from the storybooks you grew up reading—Santa Claus’ office, where you can meet the bearded man himself; Santa’s post office, where you can purchase holidays items and drop off your Santa mail; and many other shopping, dining, and reindeer-meeting activities. When it comes to Christmas markets around the world, Germany sets the bar high. Their most famous one, the Christkindlesmarkt in Nuremberg, has been around since 1628 and draws about two million visitors per year. The celebrations officially commence with a speech given by Christkind (their Christ-child or traditional Christmas gift-bringer) from the balcony of the Frauenkirche, a monumental Gothic church. From there, visitors proceed to eat, drink, and shop through aisles upon aisles of market stalls. Every holiday season, this Canadian city transforms into the Christmas village of your childhood dreams. 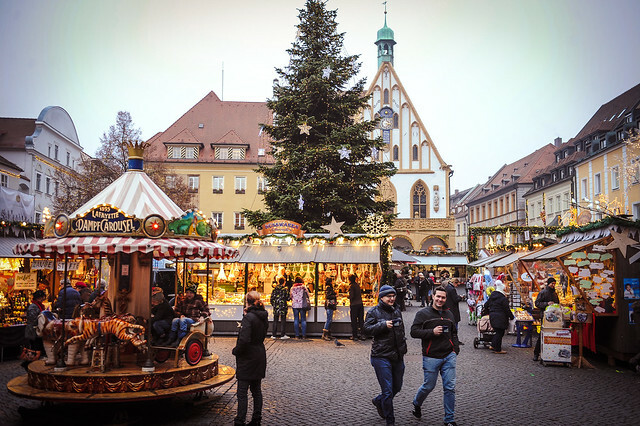 Just like the scenes of the classic Charles Dickens novel, A Christmas Carol, the cobblestone streets are filled with Christmas trees, lights, European-style markets, and shows. 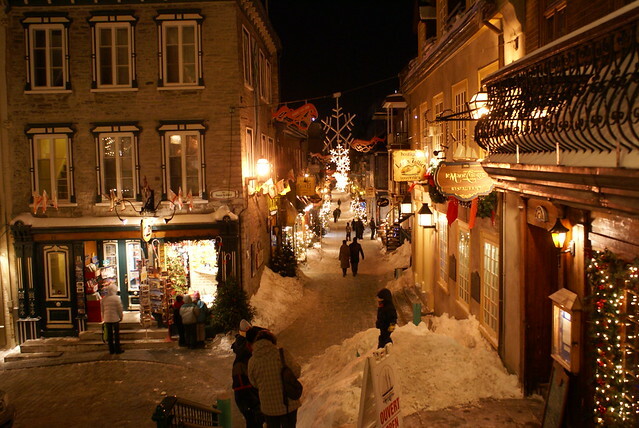 Other highlights include the Ice Hotel (a hotel made of snow and ice), the Petit-Champlain district (where you can go on a romantic, Instagram-worthy winter stroll), and Festi Lumière (an outdoor circuit illuminated by more than 50,0000 LED lights). 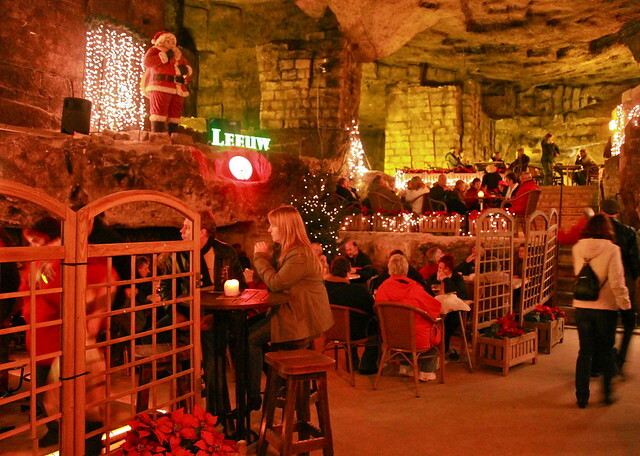 Valkenburg is known as the Christmas town of Netherlands. What makes their Christmas markets different is that they’re found in underground caves. The most famous one is the Municipal Cave (Gemeente), the largest, oldest, and most visited underground Christmas market where you can buy gifts, treats, and other holiday luxuries. There’s also the smaller Velvet Cave (Fluweelen) and MergelRijk Cave. While you’re in the area, you can also check out the Christmas parades, castle ruins, and Santa’s village. Every year, Brussels City Center transforms into the Plaisirs d’Hiver Winter Pret, a two-kilometer holiday extravaganza. There’s a Christmas market with over 200 chalets, carnival attractions, an ice skating rink, a giant Christmas tree, shows, parades, a grand ball, plus new features added each year. The festival also extends to four other winter villages (the Squares, Haren, Neder-Over-Heembeek, and Laeken) collectively known as Winter Pop. In case you find yourself extending your vacation to other European countries, check out the Christmas markets in Amsterdam, Prague, Switzerland, and Vienna, too. Sadly, the Champs-Elysées Christmas Market is canceled this year due to political and security reasons. But the millions that flock to Paris every holiday season can still get their hands on the famous vin chaud or chocolat chaud by heading to Strasbourg instead. France’s oldest Christmas market was established in 1570, and it features a giant Christmas tree, illuminations, wooden chalets, bredele cakes, hot wine, and more. The people of Malta, a tiny island in the middle of the Mediterranean, decided to bring the timeless story of Jesus to life. 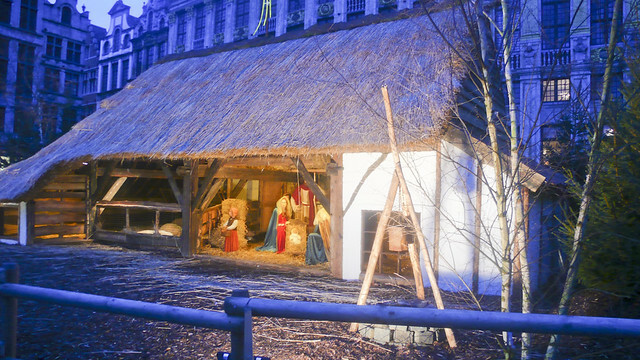 They reconstructed 20,000 square meters of land and transformed it into Bethlehem f’Ghajnsielem. When you enter the village, you are given a map to help you get around. You’ll find yourself time-traveling back to the year when Jesus was born. Walk around the village to see the carpenter and blacksmith’s dwellings, a bakery, market, tavern, local crafts area, barn, and houses inhabited by actors playing their part in the story of Jesus’ birth. The highlight of the reenactment is Joseph and Mary’s journey from Nazareth to Bethlehem, and the arrival of the Three Wise Men. 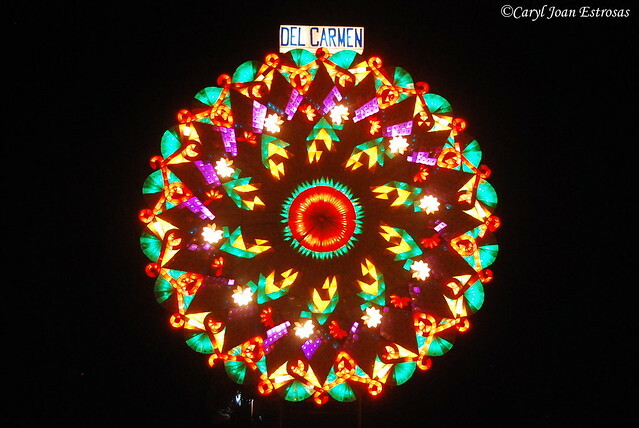 There are numerous Christmas sights all over the Philippines, but the most famous one is the Ligligan Parul (Giant Lantern Festival) in San Fernando, Pampanga. It’s an inter-barangay competition where each district aims to produce the grandest and brightest parol. The lanterns are made from native materials such as bamboo and handmade paper, plus modern materials such as wires and lights. The festival started in the 1900s. 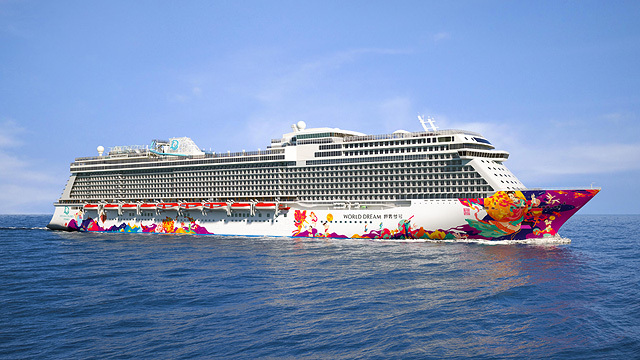 As it spanned through the decades, it has evolved into an extravagant spectacle that draws thousands of visitors annually.